This impressive floral diamond necklace features 5 marquise shaped diamonds,prong set, in a dazzling flower cluster totaling 1.65 carats. 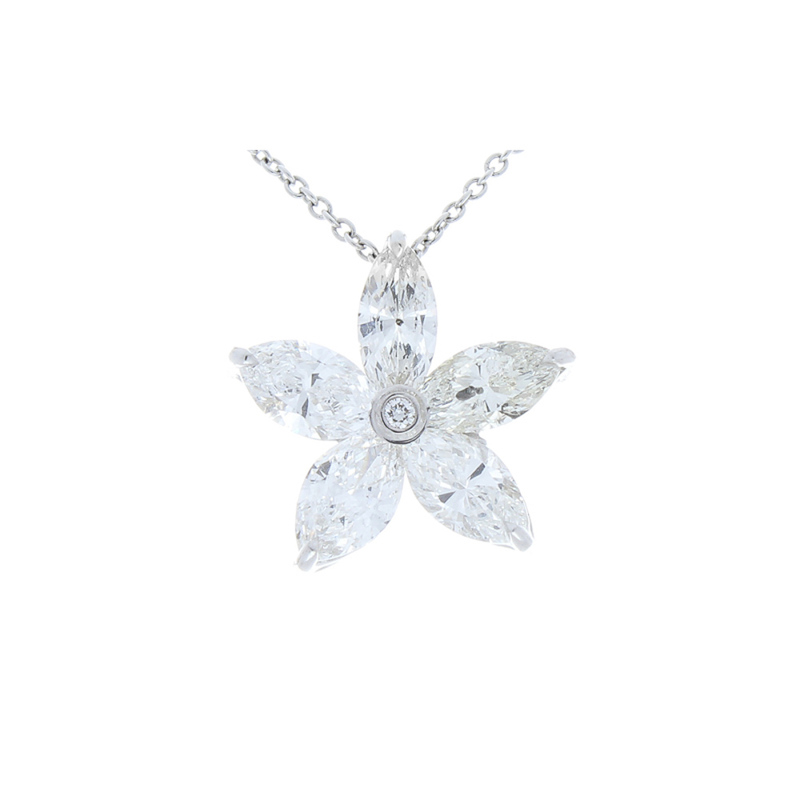 Designed with a round brilliant cut diamond accent, bezel set in the middle, makes the flower complete. Created in brightly polished 18 K white gold, this beautiful necklace is skillfully set on a delicate 18-inch long cable chain with an invisible bail in the back, giving it the appearance the diamond necklace is floating when worn.